Just when you thought snapping and sharing photos on Instagram couldn’t get any more addictive, a creative new project out of London is making waves for bringing the platform’s beloved attributes into the read world. 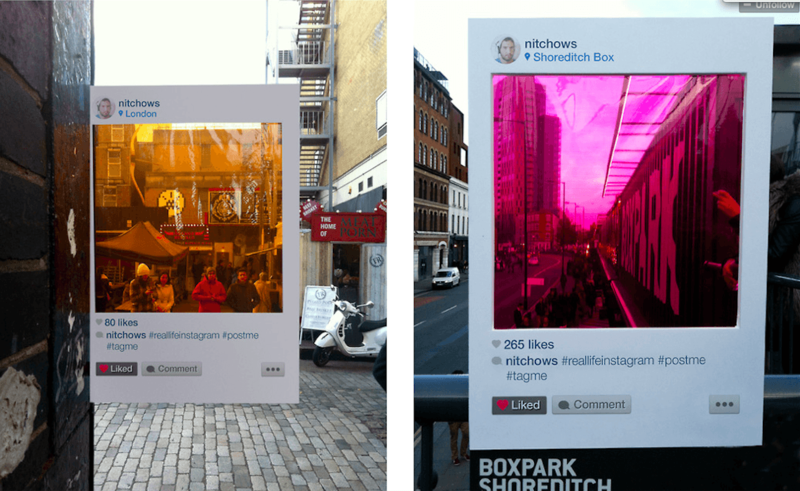 Called “Real-Life Instagram,” artist Bruno Ribeiro has placed cardboard cutouts resembling Instagram’s photo frame complete with filters alongside some of London’s photogenic places and landmarks. 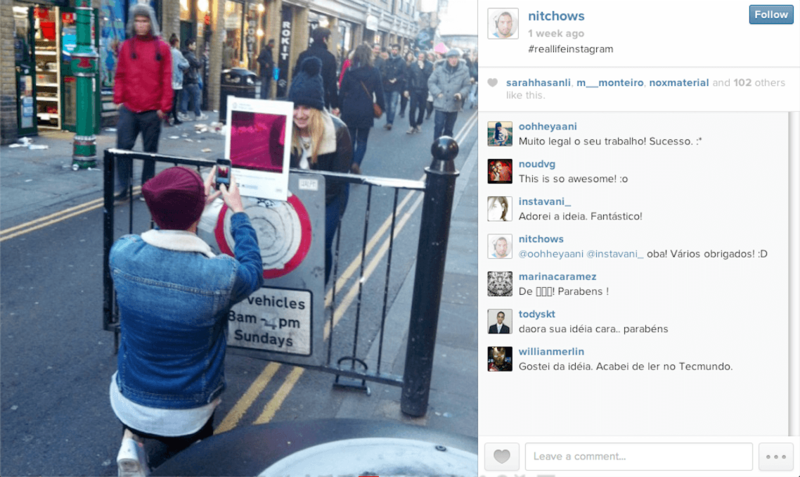 The photo frames contain Ribeiro’s Instagram account (nitchows) and encourage people to tag their photos with the #reallifeinstagram hashtag. The result? A fun and interactive experience for locals and tourists alike. 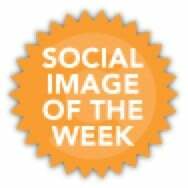 Strategically placed to capture a specific snapshot, the project is indicative of the role photo taking and sharing plays in our culture. Smartphones are often within arm’s reach and it’s not uncommon to see people capturing the mini shareworthy moments of their day or vacation. Creating physical photo “stops” amid a bustling city like London is akin to the scenic vista turnoff along a highway – it prompts the person to pause, photograph the moment and share the experience with their social graph. The only difference from the rural vista is that a cluster of people in a city suddenly stopping to snap a photo tends to turn more heads and generate attention quickly – much like the ripple effect marketers try to achieve when generating social media content, or launching a new campaign. 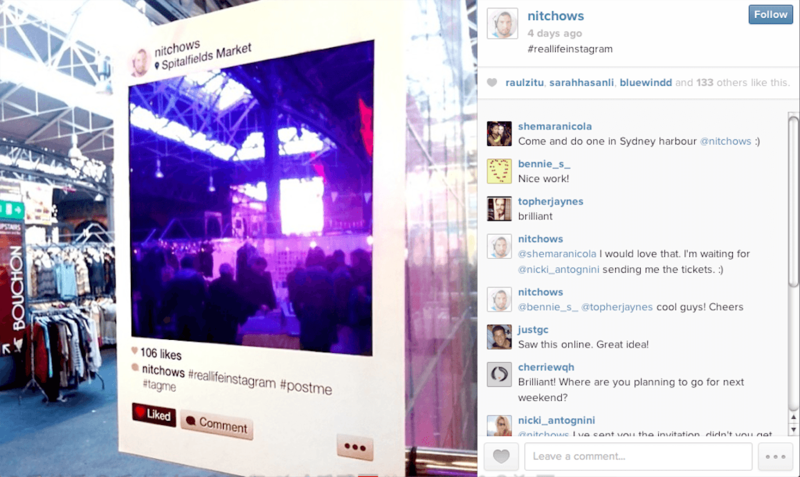 Although this certainly isn’t London’s first Instagram themed activation (e.g. there are Instagram clubs and exhibits), the project is generating considerable headlines and buzz, prompting questions if it could spread to other cities. At present, the hashtag #reallifeinstagram has been used in 575 posts on Instagram, most of which pre-date the campaign and contain snapshots of old photographs and Polaroid photos. Ribeiro has also launched a dedicated Tumblr blog, http://reallifeinstagram.com/. While the beauty of this project is that it’s an artistic endeavor, the principles of cultivating a shareworthy experience can inspire companies and brands. This campaign could have easily come from a tourism board, an airline, or a hotel chain. Companies with a retail location or hosting an event could create designated photo spots to encourage image generation, potentially even tied to a contest or sweepstakes. The images taken could then be parsed together to form a unique visual story about how people see and experience the event, company, or destination. Often, campaigns are approached from the product or service that needs to be marketed, but the experience and takeaway is: make the project memorable for the participant. Bonus points for incorporating an element of whimsy or sparking creativity.